Wool is an amazing fiber. It is naturally anti-bacterial, absorbs up to 30% of its weight without feeling damp or clammy, breathable, and surprisingly easy to care for. 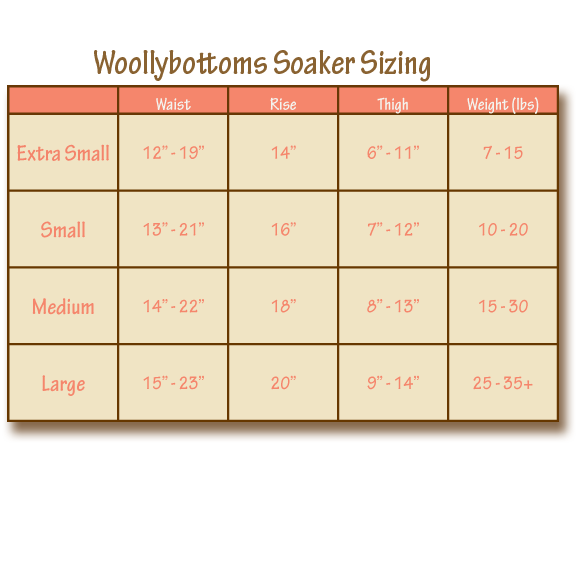 Woollybottoms products make use of old sweaters and are made into a new product. Each piece of wool is hand picked for softness and carefully inspected and cleaned. What is a Woollybottoms Hybrid? A Woollybottoms Hybrid is a combination of recycled and new wool. The body of the soaker is made from high quality recycled wool and the trim is made from a stretchy hand dyed merino wool interlock. This style offers the best overall fit, unique style, and comfort for babies. They are trim enough to be worn under clothing or fashionable enough to be worn alone.